This summer I really want to put our craft books stash to good use. They're so easy to collect, but then what? Not this summer—I'm determined to really dig in. 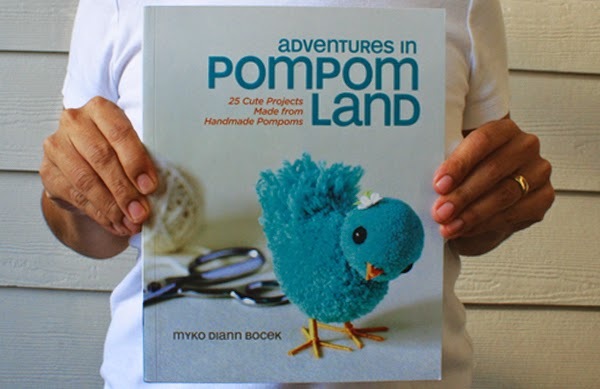 When I was asked to review Adventures in Pompom Land: 25 Cute Projects Made from Handmade Pompoms by Myko Diann Bocek, I immediately thought "summer material!" and yes, it definitely is. 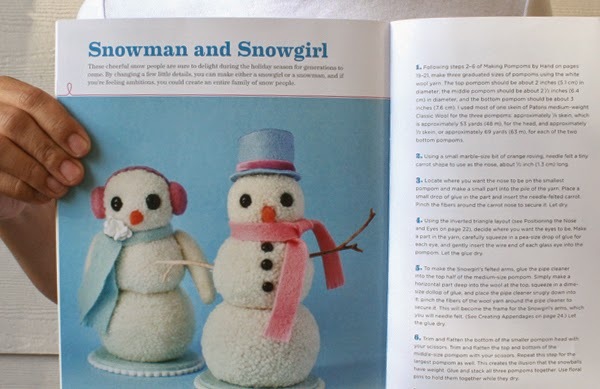 Pompoms are nothing new but I think that this book offers a bit of a different take in the sense that the variety of animals that are included can give you ideas to make many others. I was particularly surprised by the pony. I didn't imagine that shape could be made using the pompom method but apparently I was wrong. The first section of the book offers a detailed look at materials and techniques with clear instructions and photos. There is even a small section on ideas for bases on which to place your creations. 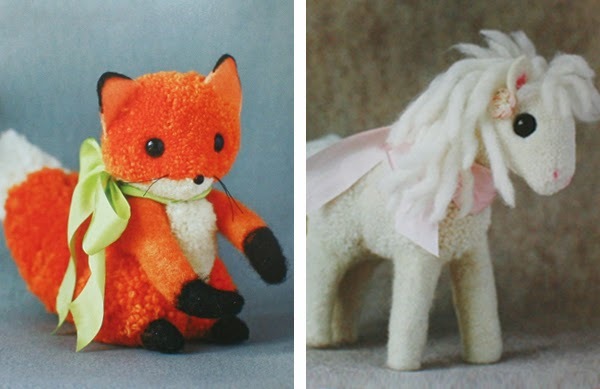 The rest of the book includes 25 creatures (and some templates) to make animals like a bunny, mouse, kitten, ladybug, lamb, seal, and raccoon just to name a few. They're all very cute! If you're going to make these with kids I don't think anyone younger than 10 can follow instructions on their own—or at least it may be a bit frustrating if you're expecting some time to yourself! This seems like it would involve some mom-child type of craft—which isn't bad either, right? Some of projects would look perfect on gifts, as mobiles or just to play with (not for little ones though! )—a lot of options to play with. So... now we have a perfect excuse to dig into our yarn stash!